I sign this letter in protest of the advertisement by Elie Wiesel who pretends to be the voice of Judiasm. I take my stand against Israel’s massacre in Gaza and in solidarity with the Palestinians seeking their freedom from Israel’s oppression. The lesson of the Nazi Holocaust and the clarion call, “never again” means never again for anyone, and especially not the Palestinians. They have nothing to do with the Nazi Holocaust. It is Israel that carries out a holocaust against the Palestinians today and robs them of their land and identity as a people. When my mother was taken to be killed in Auschwitz, I was among more than ten thousand Jewish children in France who were saved from Nazi slaughter by the force of solidarity – by the peasant community that sheltered me and the Resistance fighters, many of them Jews, in the surrounding hills. The Nazis responded to acts of resistance by slaughtering French villagers, often several hundred children in a single town. No one blames the Resistance for these Nazi crimes. In the same way today, it is absurd to blame the people of Gaza for the slaughter carried out by Israel. Israel has made Gaza the world’s largest concentration camp. Its people are deprived of liberty and the essentials of life and bombed without mercy. No wonder that they, like the Jews trapped under Nazi rule, strive to resist. 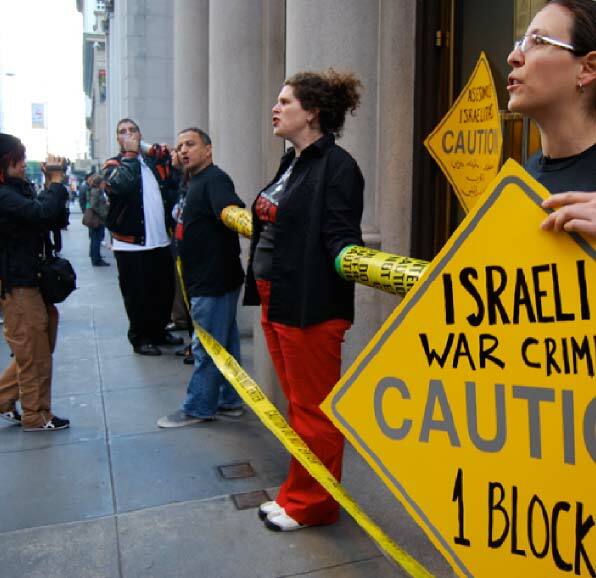 Israel must end its war against the people of Gaza and open Gaza’s borders. We can promote peace in Israel and Palestine by supporting the Palestinians’ call for boycott, divestment, and sanctions against Israel’s government. Suzanne Weiss is a Jewish holocaust survivor hidden and saved by a peasant community in Auvergne , France. Her mother died in Auschwitz, 1943. Suzanne Weiss now lives in Canada.